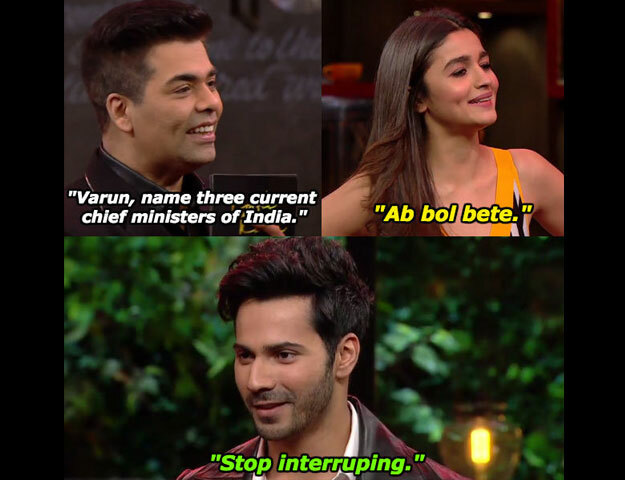 Varun Dhawan and Alia Bhatt are permanent fixtures on every season of Koffee With Karan. 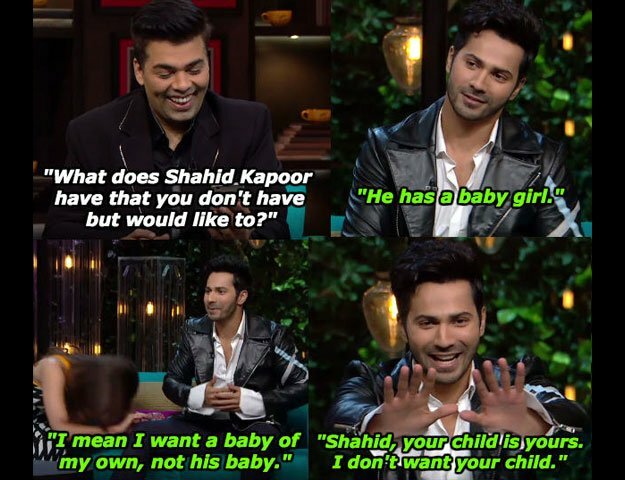 So, obviously they were back together this time to promote their upcoming movie, Badrinath Ki Dulhaniya. Here are seven hilarious moments from the episode, according to Buzzfeed. 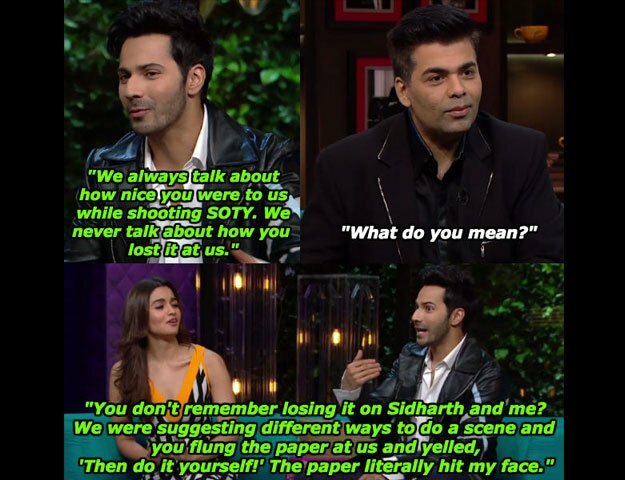 When Alia asked Varun to get lost!